Before we dive into the details, there's nothing better for the gut than fermented foods. There are just a handful of times I use pre or probiotics in a bottle. I encourage the majority of clients to eat fermented foods. I know..it's easier to take a pill. And I know many want to know the benefits. So...let's dive in! In this blog, we’re going to chat about the top 5 benefits of pre and probiotics. There are more than 5, however we’ll talk about the most beneficial of benefits. I’ll preface with this, as I do in most things, adding a supplement will not magically change your health overnight. You must also make dietary and lifestyle changes to reap the full benefits of any supplement, probiotics included. So, here they are...drumroll please! We all have bacteria in our digestive tract aka gut. Some of this is good and some of this is bad. You'll often hear this referred to as gut flora as well. The goal of ingesting prebiotics or adding in probiotics is to diversify the gut flora and to increase the amount of good bacteria to help outnumber the bad bacteria. Most people who consume a Standard American Diet (SAD) or have been prescribed antibiotics in the past 5 years, likely have little good bacteria or little diversification in their gut flora. Prebiotics are foods that you consume. Prebiotics are sometimes found in a probiotic supplement. Pre, as most people know, is the prefix for before. Prebiotics enhance good bacteria in the gut because they are food for the probiotics. This is not an exhaustive list, but this is the most common foods people will eat on a daily or weekly basis. 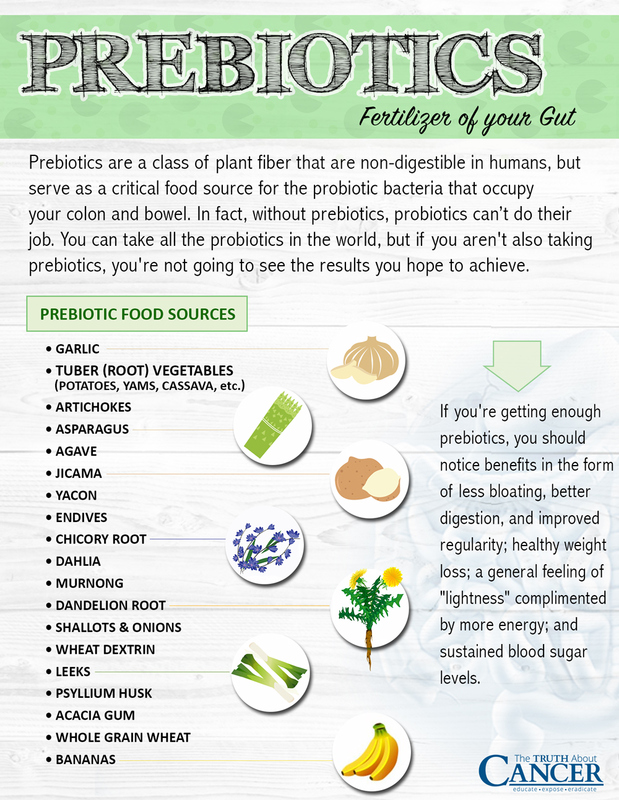 Prebiotics are easy to get into your daily diet. Add raw garlic or red onion to a salad or sandwich. Cook dinner with onions and garlic. If you like cooking eggs in the morning, add in onion and garlic. Eat bananas with nut butter for a snack in the afternoon. Dandelion greens are a great base for a salad or an awesome addition to a smoothie. PRO TIP: If you’re afraid of adding greens to a smoothie, a banana will overpower the green taste. That’s a 2-for-1 prebiotic deal! Moving on to probiotics. These tend to get more Internet notoriety because they come in a capsule. Unfortunately, when things come in a capsule, many view them as miracles in a pill. Probiotics are great don’t get me wrong. I sometimes “prescribe” probiotics to my clients for a variety of reasons. Each client is on a different probiotic…that’s how diverse yet specific they really are! Probiotics are foods or supplements that help to repopulate the gut flora with good, diverse bacteria. These bacteria have been shown to help boost the immune system, aid in weight loss, enhance digestion, and balance the mood. These are certainly not all the benefits of probiotics but they are the most common. There are two predominant “groups” of bacteria found in our gut: Firmicutes and Bacteriodetes. In lean individuals, there are a higher percentage of Bacteriodetes. In overweight or obese individuals, there are a higher percentage of Firmicutes. Often, when an individual that is overweight begins taking a probiotic, they may notice a small amount of weight loss. This is due to the probiotic helping to reestablish a balance between Firmicutes and Bacteriodetes, or increase the percentage of Bacteriodetes over Firmicutes. This can also be changed with diet by feeding the Bacteriodetes and not Firmicutes. Bacteriodetes feed on prebiotics while Firmicutes feed on bad fats, refined carbohydrates (sweets, fast food, etc), HFCS, and the like. When we have a poor diet, we are feeding the bad bacteria. Diet always wins when it comes to long-term, sustainable weight loss. Approximately 70% of our immune system lies within our gut. Most are shocked to learn this. The good bacteria help ward off any antigens (bad particles) that make their way into our bodies via the food we eat, the water we drink, and the air we breathe. The good bacteria also helps to ensure the intestinal lining is in tip top shape! The gut flora activates our innate immune system. This is the portion of our immune system that wakes when an antigen is introduced into the body. Aside from the gut lining, the innate defense can be found on the skin and in the blood. Fermented foods are filled with probiotics. Most people eat fermented foods without even knowing it. Sometimes just adding in fermented foods is all a person needs. When adding them into your diet, introduce them slowly at 1-2 tbsp per day. You can increase from there based on your tolerance. A question I often get about fermented foods is cheese. Some will consider cheese to be a fermented food; I don’t. I don’t consider it to be fermented because it is pasteurized, which effectively kills the bacteria. If you happen to get your hands on raw cheese, consider that a fermented food. 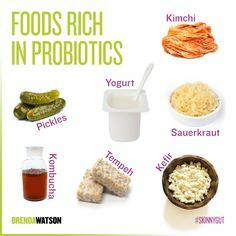 I use probiotics in practice most commonly with clients that are on antibiotics prescribed by their physician, when utilizing a gut healing protocol, for mood issues/concerns, or for those with seasonal allergies. Some people really just like to take a daily probiotic without knowing why they are taking them. I’m not a huge fan of “prescribing” supplements that aren’t really needed. Let’s be clear, I’m not saying probiotics in pill form aren’t important, but I am saying some people can greatly benefit from them and others can simply change their diets by adding in fermented foods and prebiotics and be on the right track. Consume prebiotics, add in fermented foods, and reduce your refined carb intake and you’ll be on a good path to rebalancing your gut flora. Remember…health starts from within! In the comments, let me know if you're on a probiotic!